Notre Dame de Paris, October, 2008. 1) Heartbroken over the news from Paris of the Notre Dame fire. It’s a loss to Paris, to France, to the world. 2) What I remember most from my 2008 visit there: the carving of St. Denis holding his head in the entrance, the spot where Paul Claudel experienced his conversion, and touring the sacristy to view its treasures. Paul Claudel’s card, seen in the sacristy of Notre Dame, October, 2008. In the cathedral itself was a small plaque on the floor at the exact spot where M. Claudel experienced his conversion. One of the treasures in the sacristy of Notre Dame, October, 2008. 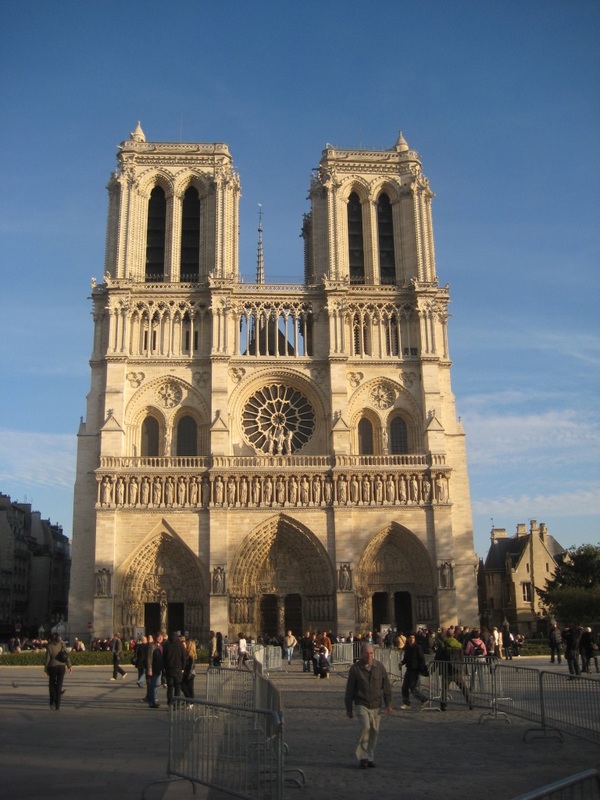 3) Beyond religion, Notre Dame is like the Taj Mahal of Paris. (Versailles would be the Taj Mahal of France.) It’s a cultural monument, an icon, deeply rooted into the identity of Paris and, for me, into a world that values what is beautiful and true. It’s always been there. For Bostonians, I can’t even imagine an equivalent. The State House? The Old North Church is of simliar stature, but can’t command the skyline. The Hancock Tower is instantly identifiable, but it’s not even 50 years old. 4) My hope, and I’m sure I’m not alone, is that Notre Dame will be restored in just the same way that the campanile in Venice was restored: com’era, dov’era - as it was, where it was. It will take more than money. It will take knowledge and talent. Notre Dame from the rear, October, 2008.